Vendegies-au-Bois is a small village in the Nord region of France. It is situated east of Cambrai, just off the D932 road between Bavray and Le Cateau. From the D932, take the D86 at Croix-Caluyau due north. This road will lead you into the village. Once you have entered the village, take a right turn and head towards the church. 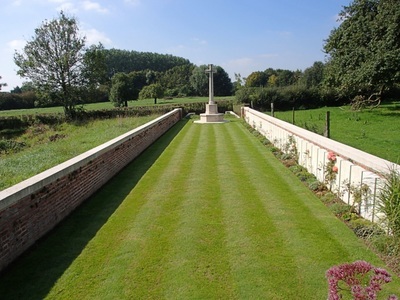 Both Vendegies-au-Bois British Cemetery and the churchyard are on the right hand side. 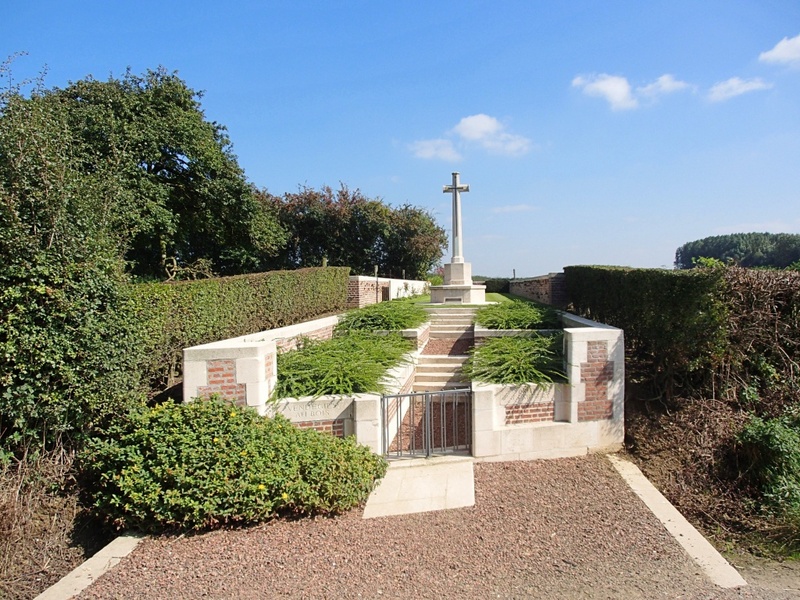 Vendegies-au-Bois was captured by British troops on the 23rd October 1918. The Cemetery was made by the 21st Division. 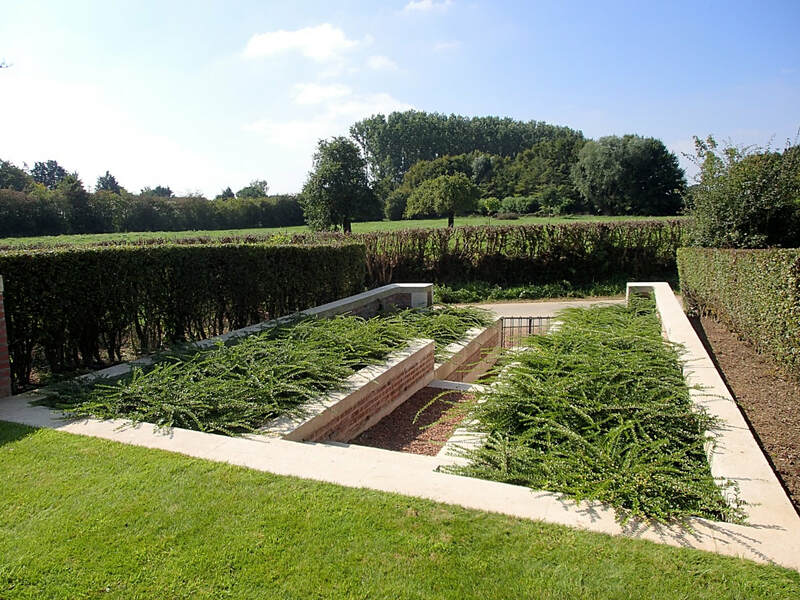 There are now over 40, 1914-18 war casualties commemorated in this site (mainly of the 1st Lincolns and the 6th Leicesters, dating from October and November 1918). The Cemetery covers an area of 256 square metres and is enclosed by a brick wall.